For years, our electronic devices have been getting smaller and faster, but the trend can’t continue until we solve one big obstacle: batteries. Batteries are the bottleneck of any electronic system, says Dina El-Damak, a professor of electrical engineering at the University of Southern California. A device is only as good as its power source, and already the quest for more power and faster computing has led to dangerous situations like the Samsung Galaxy 7 explosions. One solution is creating self-powered devices that generate electricity from sources like motion and body heat with no internal battery needed. Though it’ll be a while before we break up with our iPhone chargers, scientists around the country are working toward this goal, and companies are in on it, too. 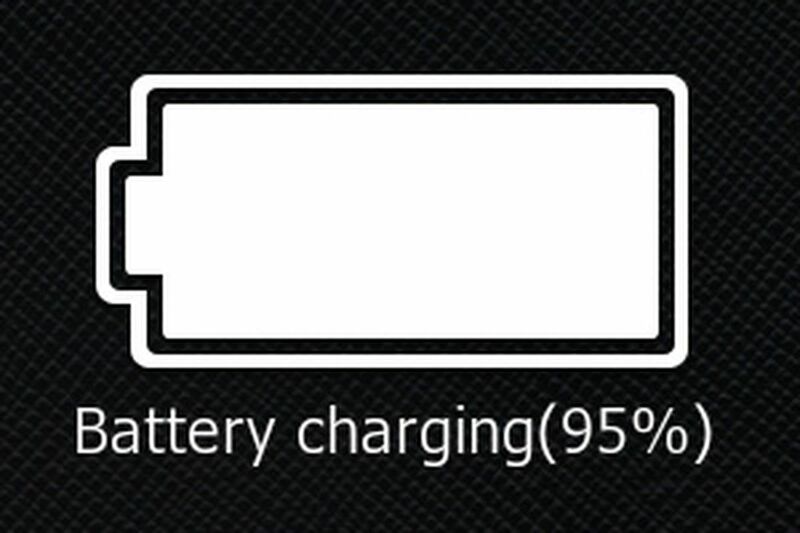 For most of us, self-powered devices mean never charging our phone or Fitbit. But the key application that most researchers have their eye on is health, especially implantable medical devices like pacemakers. “If the device relies on batteries, replacing the battery needs surgery, so providing operations for medical devices is a huge advantage and can really affect people’s lives,” says El-Damak. This could help with brain implants, too, like the kind that Elon Musk’s company Neuralink hopes to create. Currently, most brain implants last less than five years, and a long-lasting implant needs to have long-lasting batteries. There are many ways self-powered devices can work. One is piezoelectric energy, which is generated when you apply pressure to certain materials. Another method, more common in the public imagination, is harvesting movement. But while movement seems obvious, it’s not practical to have a device that only works when you’re in motion. So, for many researchers, the best source of energy is body heat, or thermoelectric generation. His generator only generates power in the microwatts, which will never power a phone and is too little for almost any device. It is possible to make efficient harvesters that collect a lot of energy, of course, but then they’ll be big, clunky things that nobody wants to wear, adds Vashaee. So, there are engineers on the other side of the equation trying to make electronic devices that run on very little energy. One of the big problems is that batteries “leak,” says El-Damak. If you put a battery on the shelf and don’t use it, it will lose some of the energy stored on its own, so there has been a lot of research in how to avoid this. 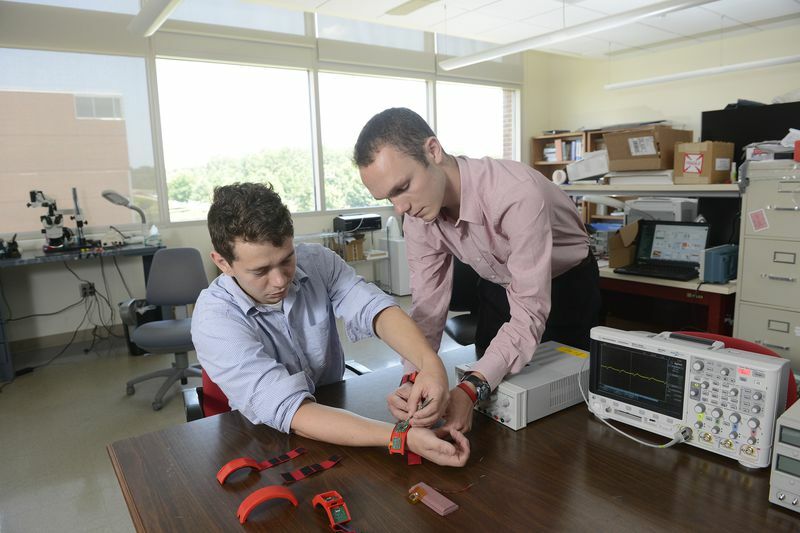 North Carolina State University hosts a research consortium — the Center for Advanced Self-Powered Systems of Integrated Sensors and Technologies (ASSIST) — dedicated to making low-powered, battery-free electronics for healthcare. This research group is funded by the National Science Foundation and has already created a prototype for health tracking, says ASSIST director Veena Misra. 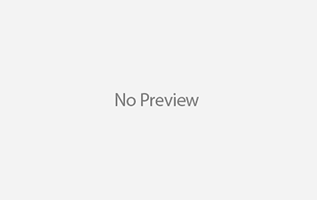 This body heat-powered device consists of a large orange wristband and a patch on the chest. The wristband can monitor indicators like humidity, temperature, and even organic compounds in the air. The patch tracks heart rate, movement, and respiratory rate. Electricity can also be generated through friction: think about the static electricity that happens when you rub two pieces of cloth together. This is called the triboelectric effect. A group of scientists have used both motion and the triboelectric effect to create a stretchy, self-powered wearable device. With the tap of a hand, it can generate a few watts of power per square meter, enough to temporarily turn on some tiny lights. The triboelectric effect is universal, meaning that any two materials can technically create this effect, but certain polymers can do it best. “The choice of materials is tremendous, such as papers, silk, fibers, wood, metal surfaces, organic materials,” says Wang. As a result, there are more options than with other methods, he adds, and it can generate more energy than using body heat. Flexibility is one of the key innovations here. “When you have flexibility in the material, you can simulate human skin for machine interfaces,” says study co-author Zhong Lin Wang, who leads the nanoscience research group at the Georgia Institute of Technology. His stretchy wearable could be used in body sensors, but also anything involving fabric. Imagine having a security system that used sensors embedded in the carpet or curtains, he says. 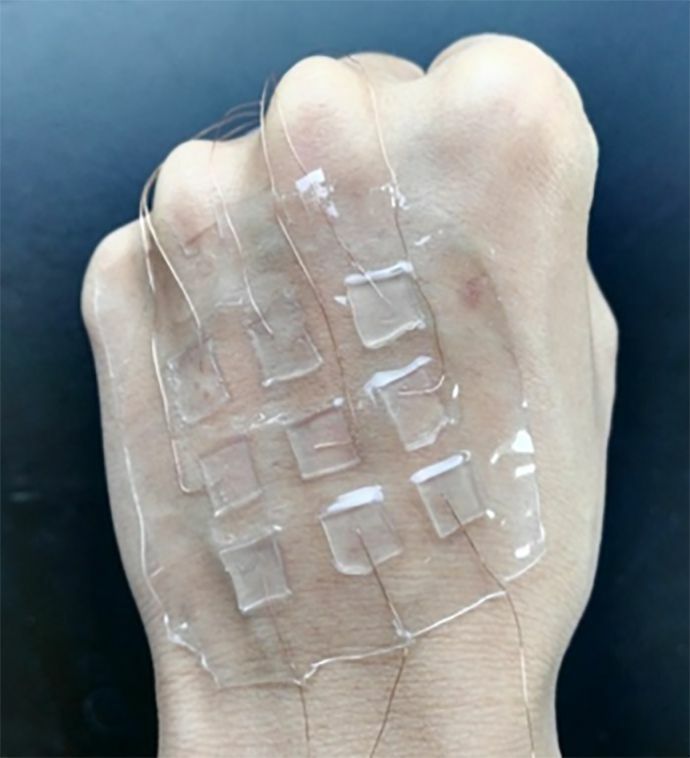 A transparent electronic skin for tactile sensing. HOW LONG UNTIL THESE ARE AVAILABLE? Both Wang and Misra at ASSIST work with industry partners to try to bring the technology to market. Wang says that he thinks it’ll be three years before his device could come to market. Until then, there’s the Matrix Watch, which uses body heat and starts shipping in September. I met with founders Akram Boukai and Douglas Tham for a demo late last year. The black, round-faced watch is large, but not ludicrously so, and rather handsome. The in-person demo was impressive, and Boukai even used ice from our freezer to turn the watch on. (Because the watch uses body heat and takes advantage of differences in temperature, it responded to the cold ice.) When I was shipped an earlier prototype to demo, however, the smartwatch was glitchy and didn’t work at all. 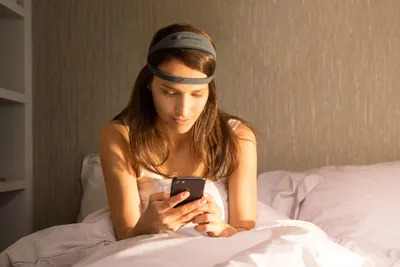 So we’ll be tethered to our chargers for some time yet, but between stretchy skin and bio-monitoring wristbands, self-powered devices may not be as far away as we think.